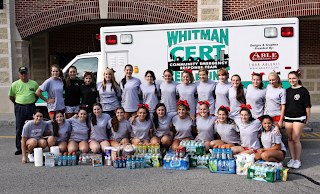 The State Champion Whitman-Hanson Cheerleaders made a donation to the Whitman CERT Program to help restock their supplies of snacks, water, etc. for our local fire-fighters working at an extended fire scene (including the hurricane called Irene!). The vehicle came up to our campus to collect the supplies. 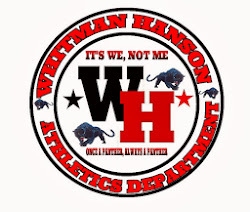 Anotehr example of Whitman-Hanson student-athletes making a difference in our community.